You Got Into Where? Podcast — You Got Into Where? The You Got Into Where? Podcast teaches you the secret college admissions strategies that high school students and parents use to gain admission and scholarships to their top choice universities. Our host, Joi Wade, received over $500,000 in merit scholarships when she applied to college. She will guide you down the path to becoming a master of college applications, college essays, personal statements, SAT, ACT, AP Exams, Common Application, resumes, teacher recommendations, scholarships, financial aid, grades and GPA, extracurriculars, FAFSA, CSS Profile & many more to help you achieve college admissions success. 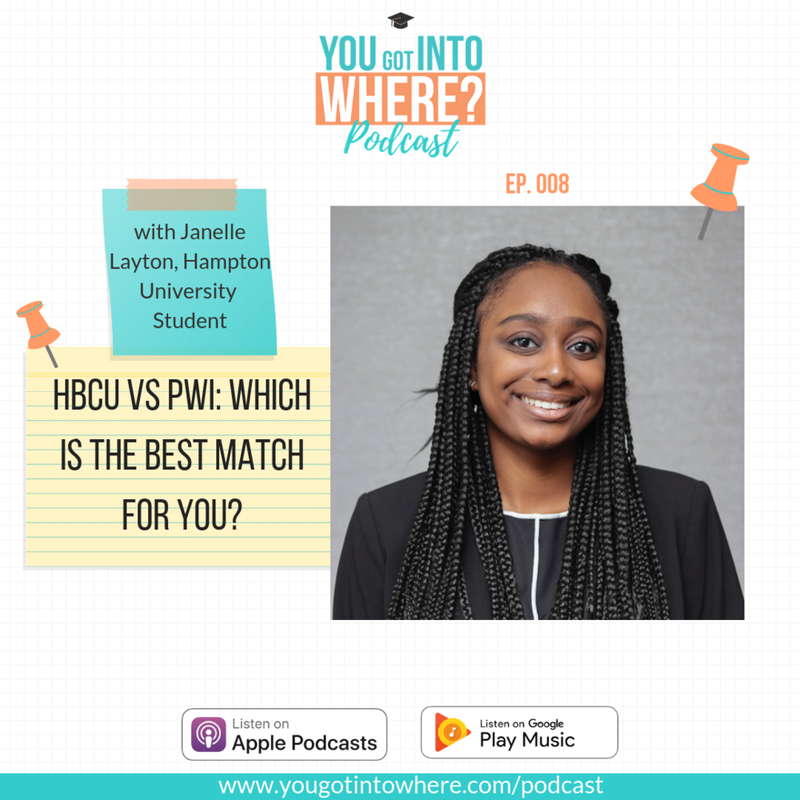 Listen to in depth interviews with college admissions and scholarship experts with host, Joi Wade, founder of You Got Into Where? Podcast Guests: If you are interested in being a guest on the You Got Into Where? podcast, please fill out this form. Podcast Sponsors: If you are interested in sponsoring the podcast, please contact Joi here. Listen to this episode on Apple Podcasts or Google Play. Ethan Sawyer is a nationally recognized college essay expert, sought-after speaker, and author of the #1 Amazon best-seller College Essay Essentials. Each year he helps thousands of students and counselors through his online courses, workshops, articles, products, and books, and works privately with a small number of students. Raised in Spain, Ecuador, and Colombia, Ethan has studied at seventeen different schools, is a graduate or Northwestern University and holds an MFA from UC Irvine. He has worked as a teacher, curriculum writer, voice actor, motivational speaker, community organizer, and truck driver. He is a certified Myers-Briggs® specialist, and his type (ENFJ) will tell you that he will show up on time, that he'll be excited to meet you, and that, more than anything, he is committed to—and an expert in—helping you realize your potential. Please leave a review on Apple Podcasts because it helps other high school students and parents find these amazing college admissions and scholarship resources. Janelle is a current undergraduate student studying Marine and Environmental Sciences with minors in Spanish and Biology at Hampton University. Janelle and I both went to the same high school together. Meet Today’s Guest: Renee Lopez, Author of Looking for a Full Ride? Renee Lopez, a seventeen-year coaching veteran, has been successful both in business and sports. She has been a college soccer coach for 14 years and high school varsity coach for 3 years. She served on staff at the University of Florida and also been an NCAA Division I, II, & NAIA Head Coach for 11 years. As a coach, Renee developed 3 All-Americans, was named Coach of the Year, and regularly led her teams to Academic Honors, Sportsmanship Awards, & Regional Championships. Additionally, Renee is the CEO of her own leadership development and coaching education academy consulting service and she is the author of an upcoming book on the college recruiting process for student-athletes titled Looking For A FULL RIDE? : An Insider’s Recruiting Guide where she has interviewed 65 college coaches and athletic directors across 19 different sports. Renee runs a weekly blog on the college recruiting process for high school student-athletes, 8 different Facebook groups related to coaching, recruiting, mindset, and leadership. As a recruiting educator has even recently been featured with the National Alliance for Youth Sports, USA Weekly, ESPN Radio and SiriusXM. You can find more about her www.rlopezcoaching.comor email her at info@lookingforafullride.com. Taylor Reneau is a 2016 graduate of Harvard University. She is also a YouTube personality who creates college related videos for over 175,000 subscribers about her experience at Harvard. Currently, Taylor supports students in her online course called Ivy Advise, which coaches students through the college application process for Ivy League Schools. Brooke Hanson, founder and CEO of Supertutor Media and the popular YouTube channel SupertutorTV, has long been a test prep expert. As an adult, she’s scored perfectly on the SAT, 36/36 Composite and 12/12 Essay on a recent official ACT, and has been tutoring for over a decade working with classes, small groups, and individual students to increase their opportunity in the college admissions marketplace. She’s worked for or contracted with over 10 education companies, and has also developed curriculum for three different education firms in everything from test prep to reading comprehension and debate. Brooke launched Supertutor Media to combine her talents, bringing education and test prep to high school students in a way that is sharp, informative, and entertaining. Her YouTube channel, SupertutorTV, has over 100K followers and 6.5 million views. Brooke graduated with honors from Stanford University with a BA in American Studies and also holds an MFA in Cinematic Arts Production from the University of Southern California. Megan Dorsey believes every student (and parent) should be equipped with the knowledge and tools to make the college admissions process less stressful and more successful. From test-taking and grades to picking the right college, Megan has helped thousands of students prepare for the SAT and ACT and gain admission to the colleges of their dreams. Megan understands the field of college admissions from a variety of angles. The parent of a rising senior, former high school counselor, and graduate of Rice University, Megan brings personal and professional expertise to the unique challenges each family encounters. Megan has over 20 years’ experience in the field and is the co-host of “The College Prep Podcast” where the goal is better grades with less stress on the path to the perfect college. Should students take the test with writing? Lynnette Khalfani-Cox, The Money Coach®, is a personal finance expert, television and radio personality, and the author of 12 books, including “College Secrets: How to Save Money, Cut College Costs and Graduate Debt Free”. Lynnette is a former financial news journalist, who now teaches individuals nationwide how to better manage their finances. She has appeared on hundreds of TV programs, including Oprah, The Talk, Dr. Phil, Dr. Oz, The Steve Harvey Show, The Today Show and more. Lynnette earned her Bachelor of Arts degree in English from the University of California, Irvine. She also holds a Master of Arts degree in Broadcast Journalism from the University of Southern California. In this episode, I discuss my college admissions story and how I received over $500,000 in scholarship offers. I also explain why I created the You Got Into Where? podcast and what to expect in future episodes. Joi Wade is a college admissions coach and author of “You Got Into Where? : How I received Admission and Scholarships to the Nation’s Top Universities.” She helps ambitious high school students channel their academic and extracurricular success into college admission and scholarships. After over $500,000 in scholarship offers and coach for thousands of high school students, Joi currently is creating useful resources for high school students interested in going to college at yougotintowhere.com. In addition to her YouTube channel of over 75,000 subscribers, she is also a student at the University of Southern California. Find Joi on Twitter and Instagram @yougotintowhere.